Enjoy complimentary FREE shipping on all Easy Treezy products. Order with Expedited Shipping and get your tree in time for Christmas! 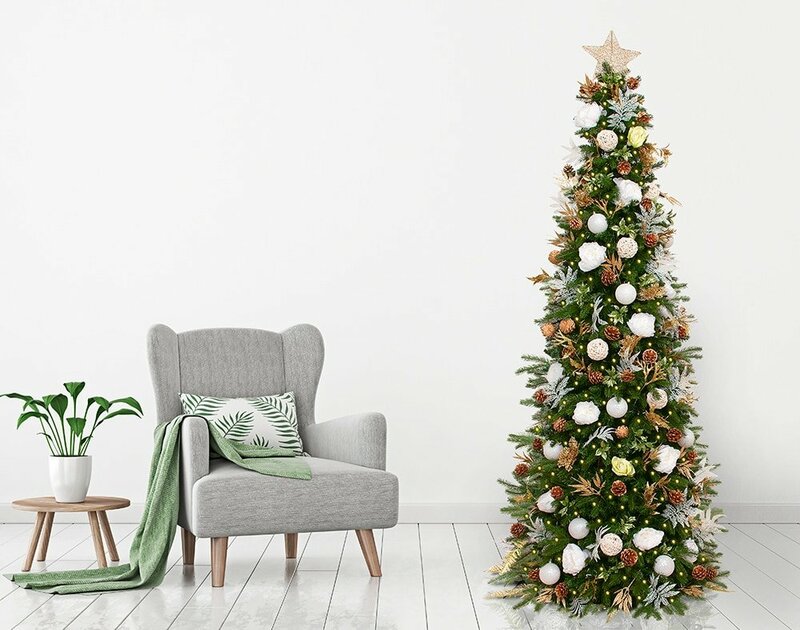 Our Christmas trees are easiest to set up and assemble in just 60 seconds! Our patented system takes the headache out of setting up a Christmas Tree. 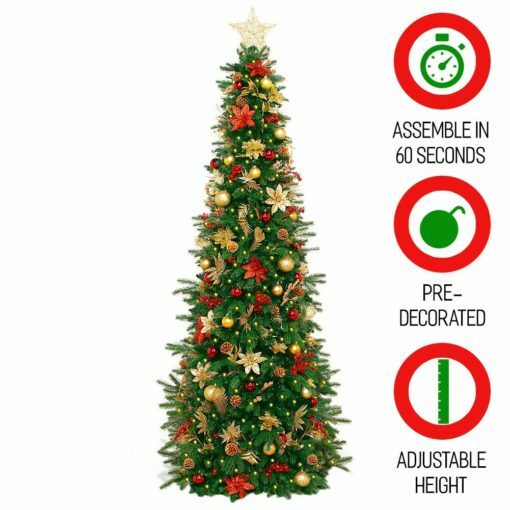 Easy Treezy ships completely decorated and can assemble in as little as 60 seconds! Easy Treezy patented system takes the headache out of Christmas trees! With its full, thick foliage and cone inner frame, Easy Treezy will never have gaping, see-trough holes. It also requires little to no fluffing when you set it up. Innovative patent pending design makes Easy Treezy the EASIEST and most BEAUTIFUL Christmas tree! 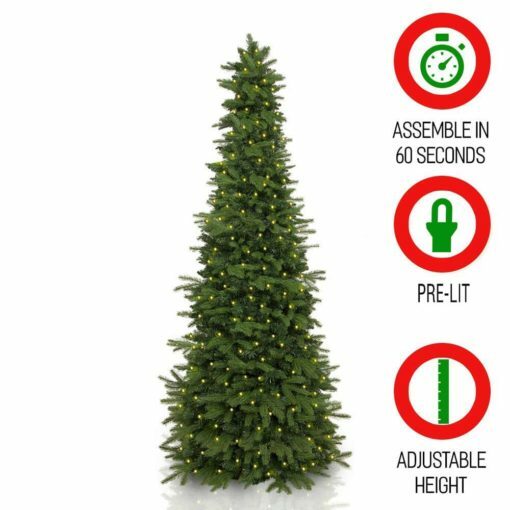 Our artificial Christmas tree is 65% lighter than traditional Christmas trees. Because we have removed the heavy steal center pole and used light-weight durable plastic, Easy Treezy is very easy to set up with just one person. No more fighting heavy metal branches or scraping your arms, Easy Treezy takes the headaches out of Christmas trees! Easy Treezy is super easy to store. The lay-flat cone technology allows you to store it under a bed, lay on a shelf, or hang in a closet. Both Designer and Natural collection Christmas trees can store with the ornaments attached. Decorate it once and never decorate it again, or buy it pre-decorated! It will be the easiest tree to store that you have ever owned! Kid & Pet Friendly - No Tipping Over! Ever worried about your pet or kids tipping over your Christmas tree? 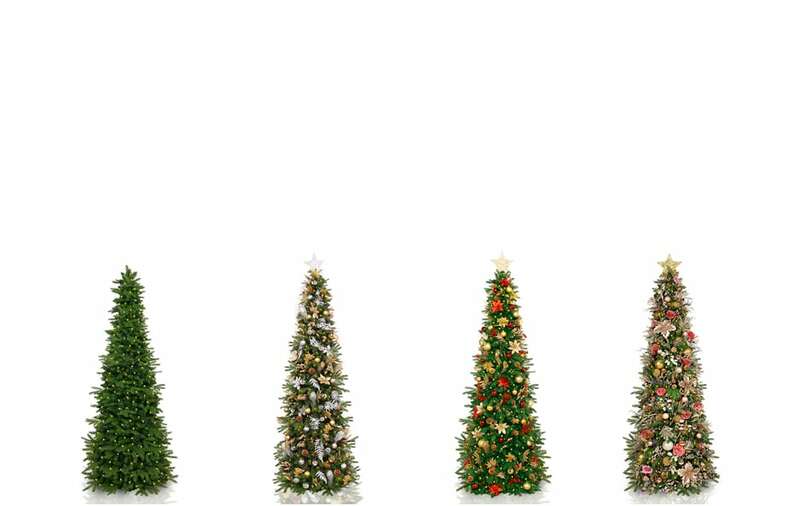 Traditional Christmas trees, with their tiny, unstable bases are SUPER easy to tip over. Easy Treezy’s patented cone design has a wide stable base. It has been pet and kid tested and is EXTREMELY difficult to tip over. 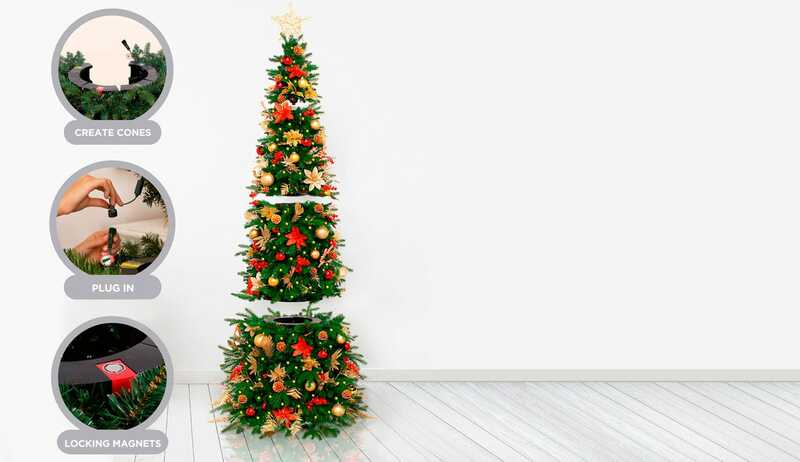 Stop worrying about the holidays, enjoy them instead with a durable, stable Easy Treezy artificial Christmas tree! Our PE/PVC blend of needles is modeled after real Christmas trees and look so beautiful it is life-like. You don’t have to give up the beauty of nature to have the convenience of an artificial Christmas tree. Just give Easy Treezy a test and see your yourself! 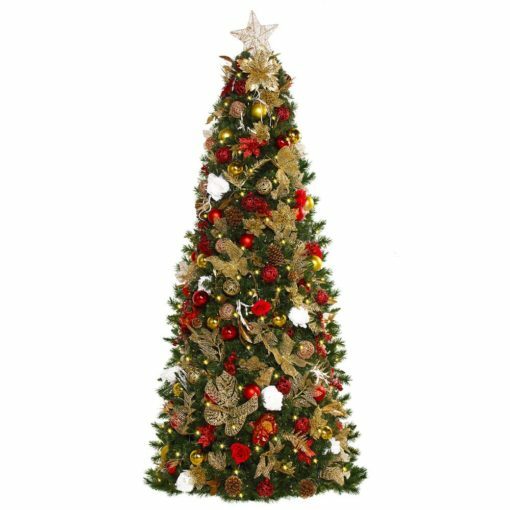 Yes, Easy Treezy’s Designer collection is the WORLD’S first beautifully pre-decorated and pre-lit artificial Christmas tree that ships pre-decorated! Our hand-selected, designer chosen décor is unbelievably gorgeous and comes pre-attached. Your Easy Treezy artificial Christmas tree is ready to go, right out of the box! See what our customers are saying about their Easy Treezy!